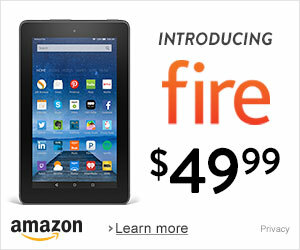 You Had Me At FREE BOOK! 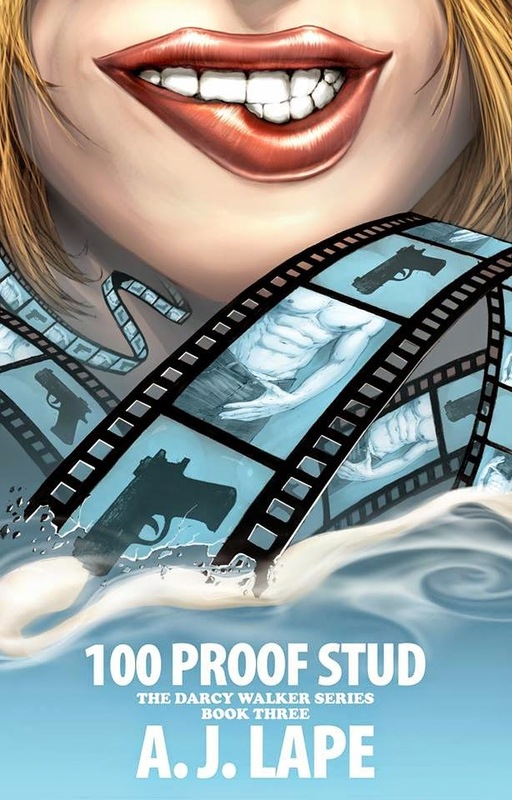 : Review of 100 Proof Stud by AJ Lape! 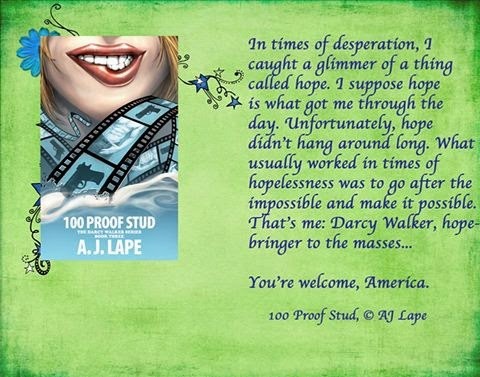 Review of 100 Proof Stud by AJ Lape! Blurb Sometimes life smacks you right in the kisser with a whole lot of ohhhh craaaaap. Review I just love AJ's writing! Darcy...she's such a spectacle, you can't help but love her! Yet there were so many moments that i just wanted to kick her! Dylan is amazingly patient, it's a surprise that her antics have yet to give him a coronary or drive him crazy! Though by the end, someone is pretty close. And Murphy...he just cracks me up with some of his responses! This one didn't have a crazy cliffhanger like the last one, sneaky AJ...it really ended in a good place, but I do hope to see a LOT more of Darcy and her entourage in the future! 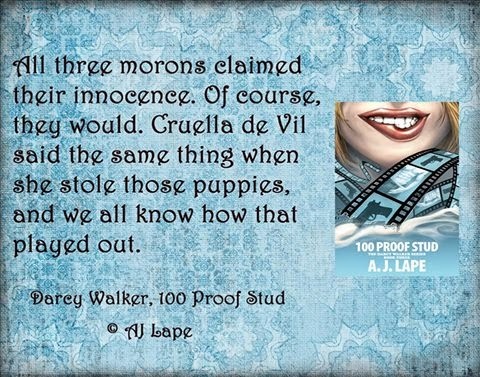 Bio A. J. Lape is the Amazon bestselling author of the Darcy Walker Series. 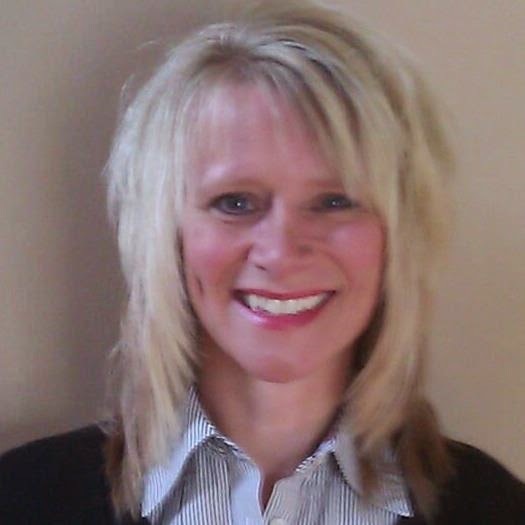 She lives in Cincinnati with her husband, two daughters, an ADD dog, a spoiled hamster, and an unapologetic and unrepentant addiction to Coca-Cola--and a lifelong love affair with bacon. 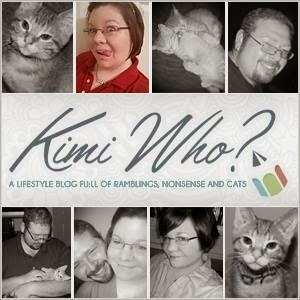 If the FBI ever checks her computer, she'll be wearing prison orange due to the various "wiki" articles she looks up. She swears the dead body, mob, and drug related stuff is only career research. Find out more about A. J. on her Website! #1 Ahhhh, Dylan. We were almost a couple…almost. The setting was Orlando, on vacation. I’d snuck into Dylan’s bedroom for a late night chat. There were a few whispered words, but before I could say, Hold on lover boy, his lips found mine—slowly moving, taking, and demanding. After a few seconds of OMG, it’s as if someone else entered his body because the tempo abruptly shifted. The kiss became hungry, frenzied, and so savagely impassioned I actually crawled out of the dang room because my legs forgot how to work. I’m here to tell you that last type of kissing is why the Earth is overpopulated. #2 I had a decision to make. I could call the police, or I could dive onto the car. Without another thought, I dove spread eagle onto the hood, a whole lot of don’t-die-a-virgin giving me flight.